 A world champion quarterback and a world record-setting distance runner have been voted the United States Sports Academy’s Athlete of the Month honors for February. Aaron Rodgers, the Most Valuable Player of Super Bowl XLV, was named Male Athlete of the Month while Mary Keitany of Kenya, who set the world record in the half marathon, was named Female Athlete of the Month. 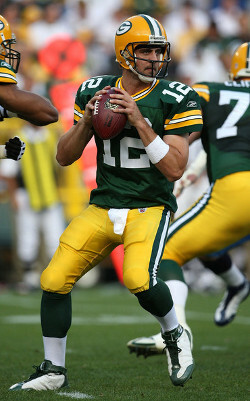 Rodgers, the quarterback of the Green Bay Packers, hit 29 of 34 passes for 304 yards and three touchdowns in the Packers’ 31-25 Super Bowl victory over the Pittsburgh Steelers in Arlington, Texas. Rodgers is the NFL’s all-time leader in regular and postseason passer rating. 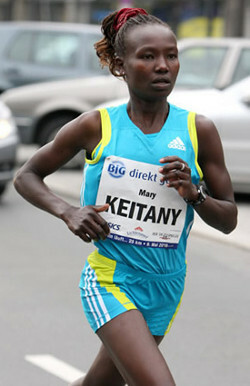 Keitany smashed the world record by 35 seconds, clocking 1:05:50 at the Silver Label Road Race in Ras Al Khaimah, UAE. Finishing second to Rodgers on the men’s side was American race car driver Trevor Bayne. On the day after his 20th birthday, and in only his second NASCAR Sprint Cup start, Bayne became the youngest driver ever to win the Daytona 500, the circuit’s most celebrated race. Finishing second in the female voting was Mercyhurst (Pa.) College sophomore Meghan Agosta of Canada, who is now the NCAA’s all-time leader for women’s hockey in goals (155) and points (301) and was recently named CHA Conference Player of the Year. Ashton Eaton of the University of Oregon placed third in the male voting after scoring 6,568 points to break his own indoor heptathlon world record by 69 points at the International Indoor Combined Events Meeting in Estonia. Eaton, winner of the Academy’s 2010 Jim Thorpe All-Around Award, clocked 7.6 seconds in the 60-meter hurdles, the fastest ever in a heptathlon. Golfer Yani Tseng of Taiwan placed third in the female voting after the 2010 Rolex Player of the Year ascended to the top of the Rolex Ranking for the first time, winning back-to-back Ladies European Tour events, the Australian Open, the Australian Ladies Masters and the Honda LPGA in Thailand.